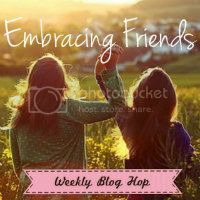 Welcome to week 9 of the Embracing Friends Blog Hop! I'm so sorry that a) this is late, and b) I don't have a feature for you this week. I totally let time slip up on me from last week and didn't have time to contact anyone. So, next week, there will be two features. One from this week and one from last, to make up for it! 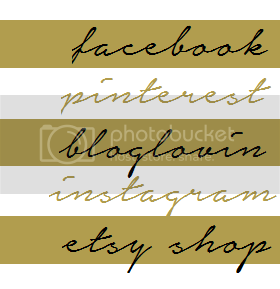 Already a follower on Facebook, Linky Friends, and via RSS! LOL Thanks for hosting a great blog hop!